I’m back from a little summer break, but summer definitely isn’t over yet! As you might remember, I went on a road trip from Spain to Italy a few weeks ago. We were sleeping on a different camping lot every night, packing our stuff and travelling all day. Of course, when we were around we also wanted to look presentable. Apart from all the fun we had, this trip was also quite a challenge for my packing skills. There are definitely a few of things I would do differently next time. So here are my tips I gathered from my road trip. 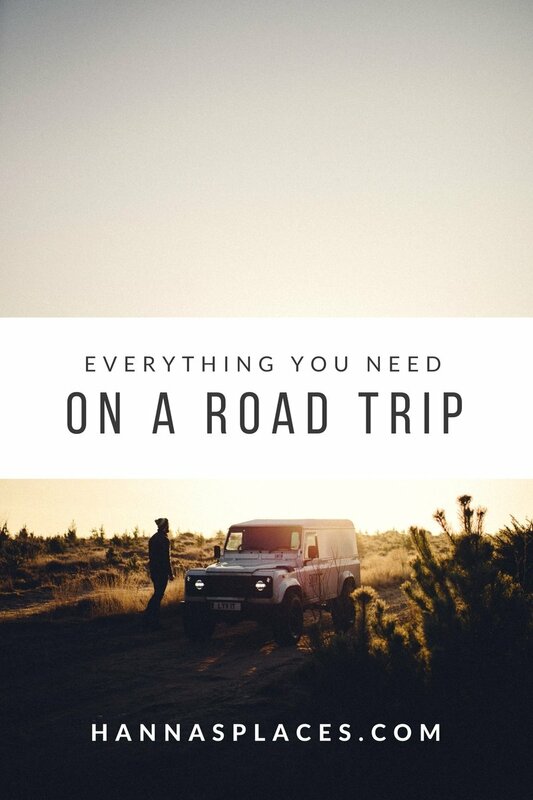 + Let’s talk about what to wear on the perfect road trip! I did some online window shopping the others day for some inspiration ( I mean, who doesn’t?). If you have to live out of a suitcase, you definitely don’t want to overpack. It’s tempting to have ten different outfits ready to choose from. Instead, go for simple and comfortable basics. Pieces that don’t wrinkle and that you still feel good in work best. Among my favourites are a pretty striped shirt or dress and a pair of jeans for colder days. You’ll also need a jean jacket, a swimsuit and a few airy dresses you can wear day and night. Seriously, I LIVED in mine while we were on the road. It was really comfortable, so I could sit in the car any way I wanted. It didn’t hurt my sunburned skin and I still felt stylish strolling through Saint-Tropez. If you don’t have one, get a jumpsuit. You won’t regret it (there’s a great selection over here if you’re still searching for the right one). Shoes you can get in and out of easily and won’t get blisters in. I (sadly) only had some ugly old plastic flip-flops with me, but I’ve had my eyes on some Birkenstocks for ages. I will definitely get them before my next trip (remember my post a few weeks ago?). Also, a pair of espandrilles. I wore Toms the whole trip and my feet didn’t hurt from walking once. This is a roadtrip essential. I travelled with a big backpack because I thought it would be more handy. It definitely wasn’t. Everything was wrinkled almost at once and I could never find anything. It just didn’t work out the way I thought it would. So my tip is: Go for a normal suitcase! And use a smaller backpack for your daily trips. I’ve had my eyes on this one for quite some time. High sun blocker. After sun lotion. Mosquito repellent. Bepanthen. A pretty lipstick for the evening. Desinfection for your hands. Shower stuff. I stopped putting on make up after the second day, but a pretty lipstick is always a good idea. Food that won’t melt, crumble or use up too much room. We lived off breakfast cookies, French rolls, granola bars and grapes. If you’re travelling all the time, you sometimes won’t even remember the things you did the day before. Writing everything down is worth it and also a good occupation while you’re on the road. Always essential. I recently loved reading the Barcelona series by Carlos Ruiz Zafon and I’m starting „The Lowland“ by Jumpa Lahiri now. Sunglasses. Camera. Mobile phone charger (!). Phone. Navigation system. Plastic bags for various things. Umbrella (sadly). Credit card. Everything else: Leave it at home – you seriously won’t need it. What about you? Did you ever go on a roadtrip? What are your essentials (anything I might have forgotten? ).